The kind folks at Slacker reached out to see if we would be interested in hooking up readers with a few 3-month subscriptions to their Plus service, and you know we never turn down an opportunity to feed you guys some free stuff. For those of you not familiar with Slacker Radio, I highly suggest you check out their site and Android app because it’s one of, if not the best internet radio services on the planet. You can customize stations using your favorite artists or listen to pre-sets, but most importantly, you can access it all from anywhere including your mobile device and computer. And with the “Plus” subscription you get even more goodies like: unlimited song skipping and song requests, access to song lyrics and no audio or banner ads. Good stuff for sure. 1. 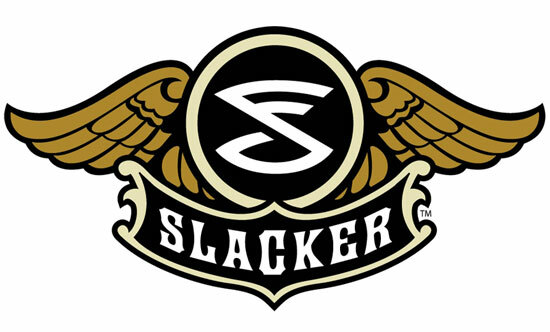 We are giving away three 3-month subscriptions to Slacker Radio Plus. 3. For those that hate Twitter, you can “like” us on Facebook to enter. 4. We’ll pick the 3 winners on Friday 2/25: 2 from Twitter and 1 from Facebook. 5. We’ll inform the winners that same day!